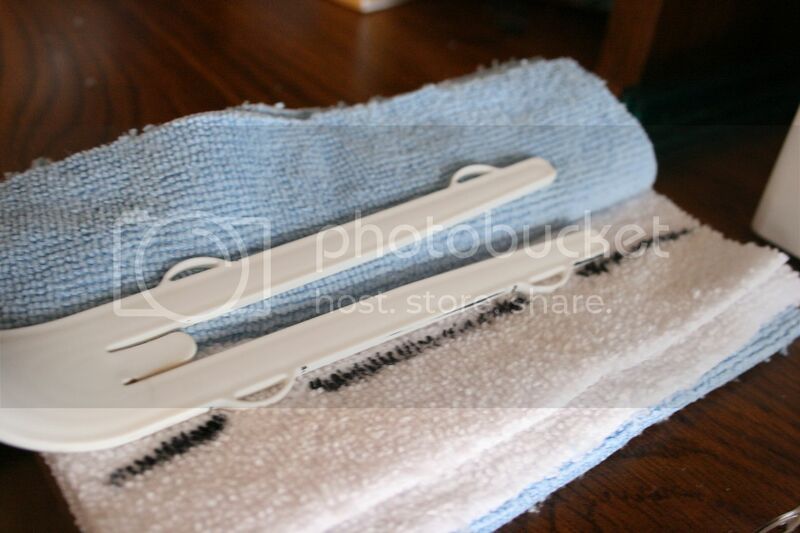 Ever since I found this tutorial on Sew Much Ado for a diy swiffer duster, I've been meaning to make a couple of my own. Of course after seeing the tutorial months ago I thought I would be able to remember the tutorial without looking it up again. Mine turned out slightly different but still works like a charm. 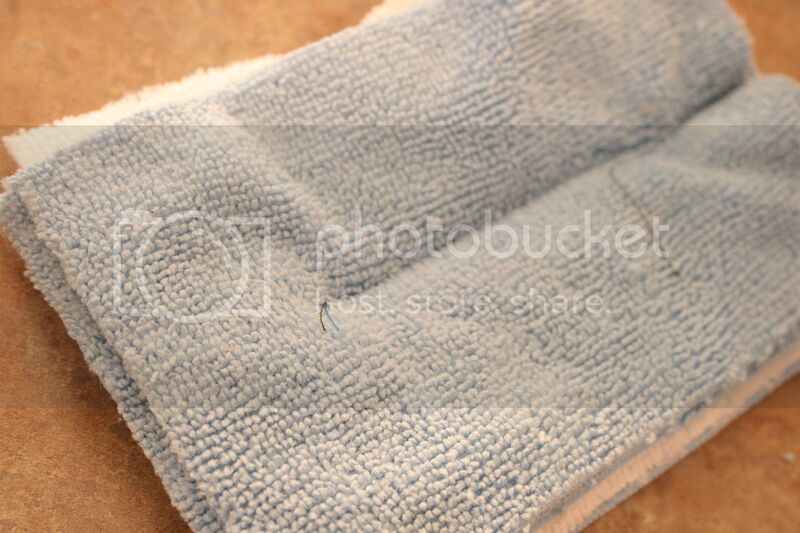 I cut my microfiber cloths into 6 pieces, each measuring about 4X6. After mixing and matching colors to get the look you want, stack and sew 6 pieces together. Sewing straight down the center from the top and stopping about an inch and a half from the bottom. Then flip over the top two pieces of cloth and, lining the center of the swiffer up with the center of the cloth, trace around the swifter. Repeat this with the other side. 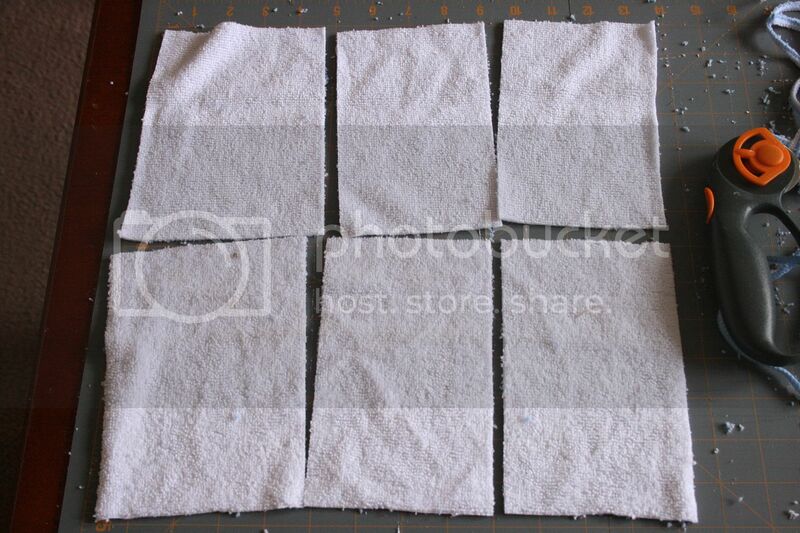 Now sewing only the two middle pieces together, sew along the line you just drew leaving an opening were the curves are. 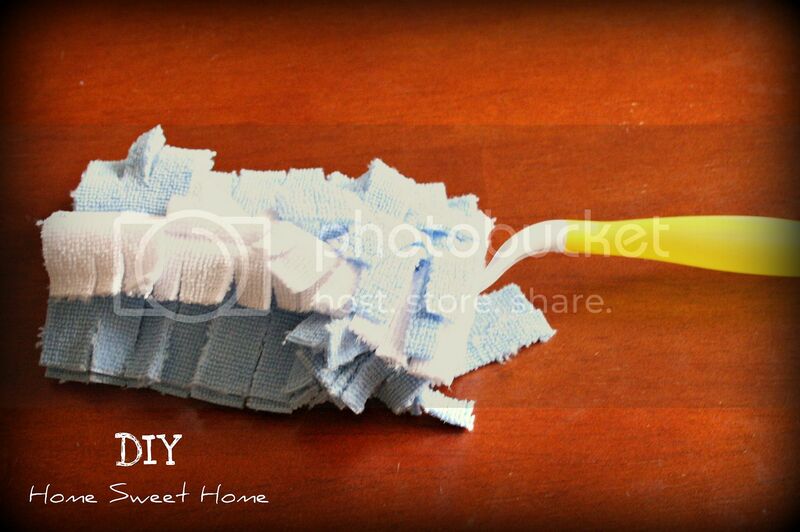 Beginning with the top layers, make cuts every half inch or so, stopping about 1/4 inch from your stitches. Once done, slip in your swiffer handle and get dusting!! Great idea. I totally want to make two of these for my boys to do the dusting. Thanks for commenting on my blog whatsfuntoday.blogspot.com. I'm following you now too. Your site is beautiful. I recommend your site. Thank you. I would like to introduce a good site. Jamie - Thanks for stopping by my blog. I thought I would return the favor. Yours is amazing. I love all the linkys, tips and tricks. What an awesome green project! Thanks for stopping by Decor & More ~ I've added your linky party to my list and look forward to jumping in! Hey Jamie! Thanks so much for stopping by The Little Birdie and inviting me over! Sorry it's taken so long... holidays are crazy in our house! I LOVE this tutorial!! I go through swiffer dusters like nobody's business, I can't wait to try this out. 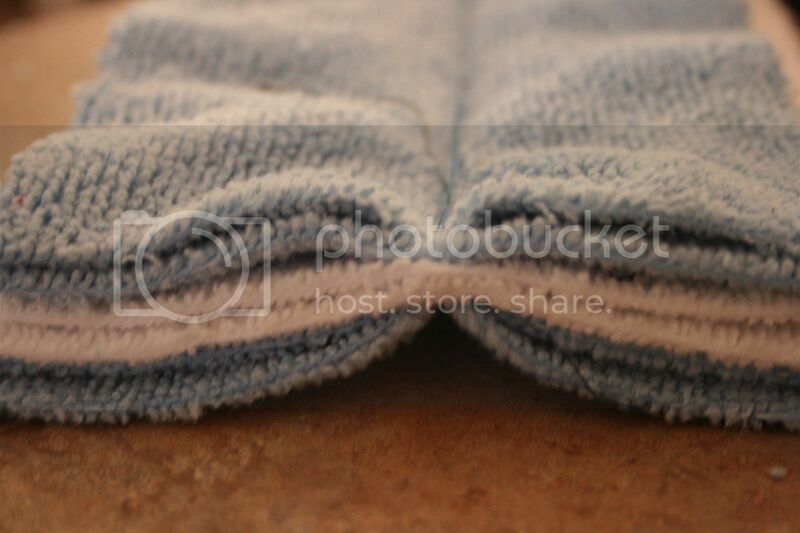 My hubbs has tons of the microfiber cloths stashed away in his garage, surely he won't miss a few, haha! I love this idea, and great tutorial. Thanks for sharing! What a great idea! I think it would clean better than Swiffer cloths, too. I just found your blog and am your newest follower. This DIY project is awesome and thanks so much for the linky parties! Thanks for finding and following. I am now following you. I have a link on my blog under Creating Fixing Finding to your blog. Love this idea!!! So easy - I might have to go out and buy some flannel or microfiber. The Microfiber would pick up the dust better, right? Thanks so much for linking up to Take it on Tuesday blog hop!! 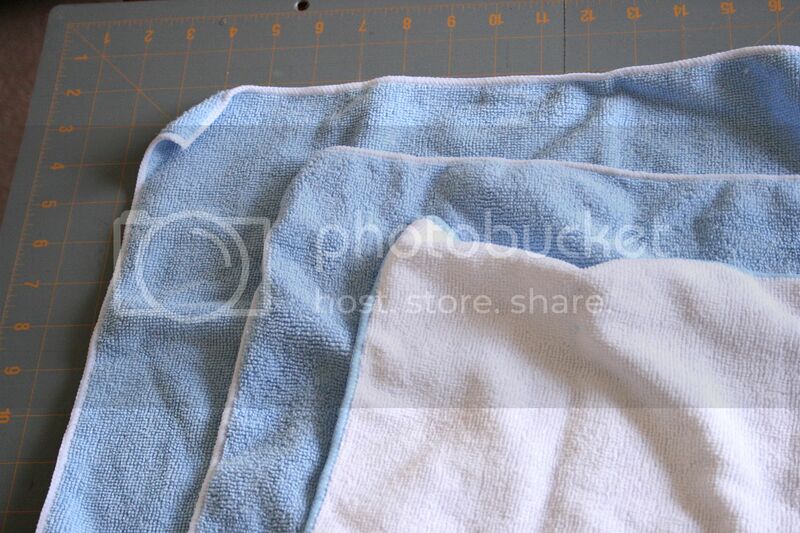 I have some leftover grubby cloth diapers - with that microfiber stuff! Yahoo! You've just given them new life!! This is beautiful! Your site is great. Thanks for sharing. Awesome, totally going to try this too! Great tutorial. I definitely will be making some of these! amazing! what a great idea! Oh my goodness! I love this tutorial. I have two wands and was thinking the other day I didn't want to shell out extra cash on the expensive disposable duster things. This is perfect! Thanks for following over at Aley Creations. I'm following you right back. Great blog you've got here! Great tip! 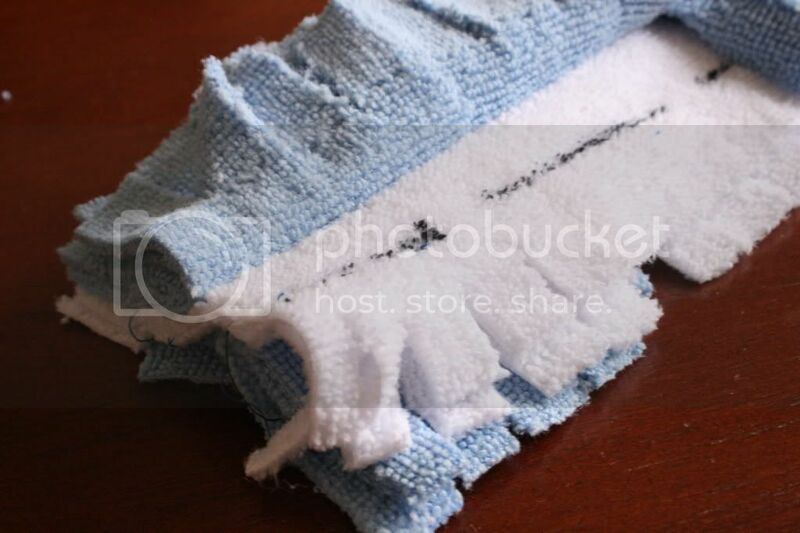 Seriously I am so over buying replacements but I keep old towels and rags,go figure! lol This idea is a keeper. So So doing this! New Follower from Thirsty Thursday Bloh Hop. Haha, I raid my hubby's stuff too. This is a great idea. I bet it's washable too, right? @Shiloh Yes!! They are washable. Although mine had quite a bit of fuzz so I washed them separately the 1st time. Great idea! Thanks for linking to Things I've Done Thursday! Thanks for stopping by my blog.! I love your blog! Oh here is my other blog. This is great! I haven't seen this idea before. I'll bet your microfiber works even better than the flannel. Use what ya got is best! Great idea. My daughter loves to use the swiffer duster so we can go through lots of replacements. This looks easy, frugal, and practical. Thanks. What a great idea! Those things can be so stinkin expensive! Thanks for sharing this great tutorial. What a great idea! I hopped over from Living Life Intentionally. Well that was a smarty pants idea! I'll be featuring this. Thanks for sharing with air your laundry Friday! You are awesome so I featured you at my Hookin Up with HoH Party! What a great idea! Thank you for sharing such an accessible tutorial!